If you’re a follower of my site, you know I’m a huge fan of Day After Sessions. They give you a chance to put on your dress again, maybe try a different hairstyle, and get some great photographs in a different location. I’ve been a huge fan of Mark and Candice’s photography (Mark Brooke Photography) and this session is just so perfect. Her dress is stunning (custom made!) and the photos in the tree? Amazing. I want a photo in a tree! I’m picturing them as huge prints on a wall. What a great memory for them! Happy Weekend everyone! Check out more from the session on their blog. day after sessions are great! i agree. awesome photos! love the shot of the bride in her white dress and flip flops. so fun. 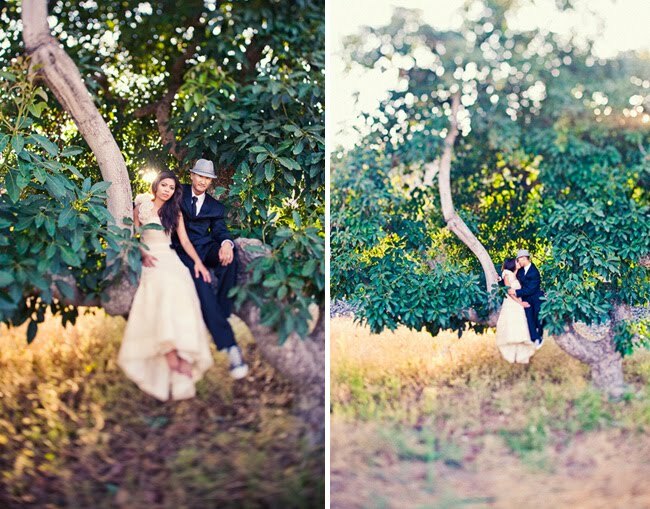 I love the tree photographs… it was the perfect size for them. I really love Day After sessions too, you can choose exactly when you want to take the pictures to get the best light & there is no more stress! Who made her custom dress?!?!? It's divine… and the pictures ain't bad either! ;) Stunning! I hate friday's for this reason… I have to wait til monday to see another beautiful wedding. SIGH. how cool is that they climbed the tree? really like that idea. I love the vintage feel to these pictures! They are amazing! These shots are fabulous, elegant, and fun! these are adorable!!! 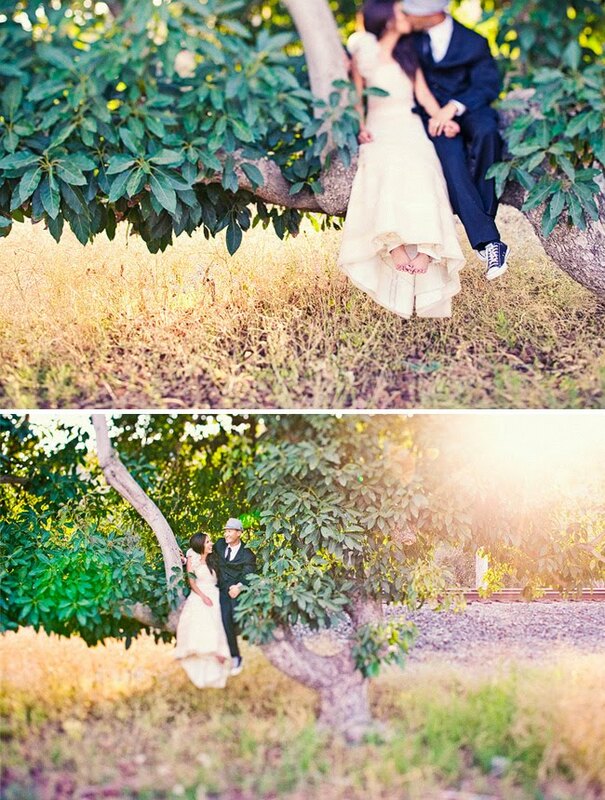 love the tree shots!